Plasma processing is a central technique in the fabrication of semiconductor devices. 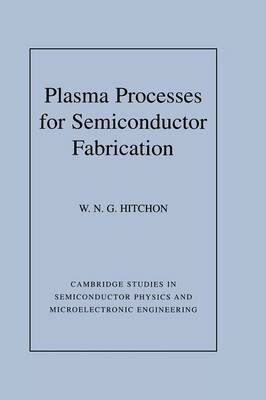 This self-contained book provides an up-to-date description of plasma etching and deposition in semiconductor fabrication. It presents the basic physics and chemistry of these processes, and shows how they can be accurately modeled. The author begins with an overview of plasma reactors and discusses the various models for understanding plasma processes. He then covers plasma chemistry, addressing the effects of different chemicals on the features being etched. Having presented the relevant background material, he then describes in detail the modeling of complex plasma systems, with reference to experimental results. The book closes with a useful glossary of technical terms. No prior knowledge of plasma physics is assumed in the book. It contains many homework exercises and serves as an ideal introduction to plasma processing and technology for graduate students of electrical engineering and materials science. It will also be a useful reference for practicing engineers in the semiconductor industry.